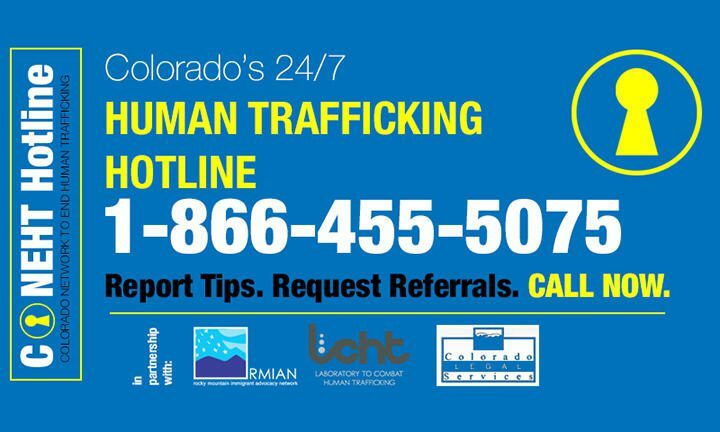 Colorado’s 24/7 human trafficking hotline connecting callers to CoNEHT’s statewide resource directory. 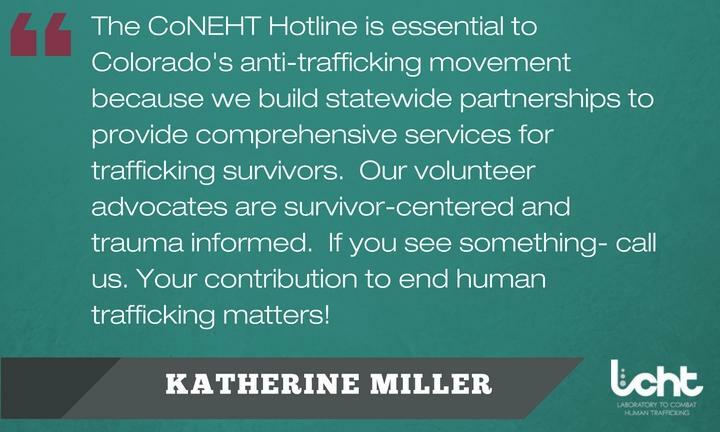 The CoNEHT Resource Directory is made up of hundreds of agencies across Colorado who engage in a variety of support services for victims of human trafficking. Organizations in this referral network are the backbone of the CoNEHT Hotline that is managed by LCHT. Coordinated case management provided through approaches that value self-determination and empowerment, to meet the needs of survivors with individualized attention and respect. Legal remedies for domestic, foreign national adults and minors and their families. Includes pursuing “certification” as a victim of trafficking through a T-visa or Continued Presence. 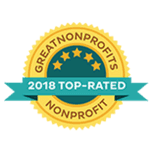 Long-term survivorship opportunities and resources, including workforce development, higher education, residential treatment, transitional housing, leadership, and survivor-led advocacy.